Podcast: It’s been a tough week in Burien. The deputy mayor explains the city’s immigration politics. A man turned himself in to police earlier this week in connection with an alleged attack on Burien Mayor Jimmy Matta, and detectives are investigating the incident as a hate crime because the man was apparently motivated by Matta’s political support of Latino immigrants. 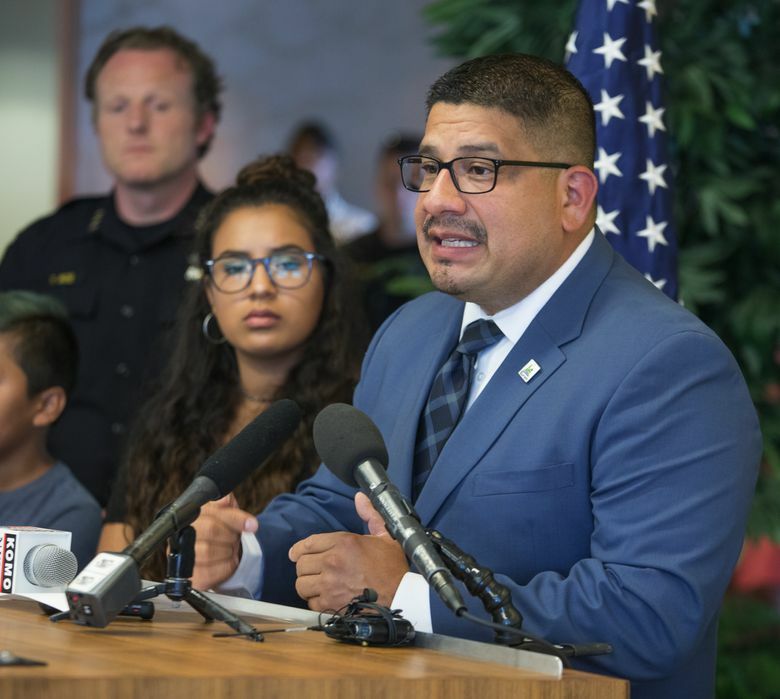 Elected to the City Council last year after a racially-charged campaign and later chosen by his peers as the Seattle suburb’s first Latino mayor, Matta has been a vocal backer of Burien’s so-called sanctuary-city policy, which limits local cooperation with immigration authorities. For Episode 86 of The Overcast, the Seattle Times news and politics podcast, Burien Deputy Mayor Austin Bell explains how his city’s politics have been transformed in the Trump era. A political committee with money from an out-of-state organization stoked tensions by mailing a letter to voters that purportedly listed the names, addresses and crimes of undocumented immigrants. But the entire pro-immigration slate won. Elected three years ago, when he was just 24 years old, Bell says the recent attack upset him but hasn’t dampened his optimism about where Burien is headed.